If you'd like to avoid all sorts of problems with your garage door system, then the maintenance service our company provides is what you need. We know how to make sure that all of the different moving parts are properly aligned and well lubricated and that the different features are functioning correctly. Your garage door springs are probably more important than any other part of the system (other the door itself, obviously). They serve as a counterbalance for the panels, and are what allows you (or your opener) to lift the door without much effort. That is, without much effort on your part; the springs themselves are under a lot of stress. Because of this, they have to be inspected and lubricated on a regular basis. Apart from doing that, we'll also adjust their tension to ensure the door stays balanced and that they don't overstrain. To make sure the opener doesn't accidently closes the door while someone or something is blocking its way, the safety sensors must be functional and aligned correctly. That's why our technicians will test their functionality and make sure their alignment is precise. We'll reposition them as necessary, and if they've become damaged we'll replace them. The springs aren't the only part of the system that can benefit from regular lubrication. Steel rollers and hinges should also be applied with this treatment, to keep them from starting to squeak and to help promote their optimal performance. Our team will make sure these components, as well as the chain or screw drive of your opener (if you have one of those two types) is properly lubricated and able to work as smoothly as possible. 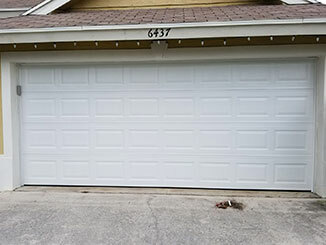 Instead of just waiting for some part of your system to break down, give our experts at Garage Door Repair Canyon Country a call and let us make sure that everything is functioning as well as it should be.